Blowout Sale! 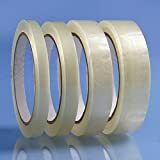 Up to 54% off on Mailers at KBFS. Top brands include Paper Mart, Amiff, OfficeKit, StarBoxes, Quality Park, Sealed Air, Marvel, & 5COU. Hurry! Limited time offers. Offers valid only while supplies last. 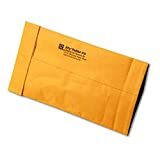 Poly Bubble mailers Padded envelopes 9.5 x 13.5. 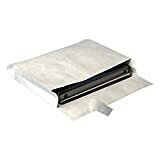 Pack of 10 Large Black cushion envelopes 9 1/2 x 13 1/2. Exterior size 10x14. Peel-N-Seal. Mailing & shipping & packaging & wrapping. Mfg# 10x13. Pink Poly bubble mailers 8.5 x 11 Padded envelopes 8 1/2 x 11 by Amiff. 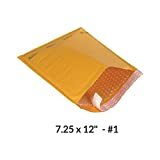 Pack of 20 Poly cushion envelopes. Exterior size 9x11 (9 x 11). Peel and Seal. Mailing, shipping, packing, packaging. Pink Poly bubble mailers 9.5 x 13.5 Padded envelopes 9 1/2 x 13 1/2 by Amiff. 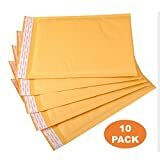 Pack of 10 Poly cushion envelopes. Exterior size 10.5 x 14 (10 1/2 x 14). Peel and Seal. Mailing, shipping, packing. Bubble mailers 6.5 x 9. 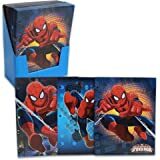 Padded envelopes 6 1/2 x 9 by Amiff. Pack of 20 Purple cushion envelopes. Exterior size 7.5 x 9 (7 1/2 x 9). Peel & Seal. Glamour Metallic foil. Mailing, shipping, packing. 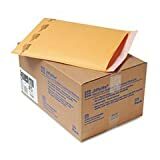 Kraft bubble mailers 7.25 x 11 Padded envelopes 7 1/4 x 11 by Amiff. Pack of 20 Kraft Paper cushion envelopes. Exterior size 7.25 x 12 (7 1/4 x 12). Peel & Seal. Mailing, shipping, packing, packaging. Bubble mailers 7x11. Padded envelopes 7 x 11 by Amiff. Pack of 20 Pink cushion envelopes. Exterior size 8x12 (8 x 12). Peel & Seal. Glamour Metallic foil. Mailing & shipping & packing & packaging. White Poly Bubble mailers 6x9 Padded envelopes 6 x 9 by Amiff. 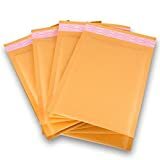 Pack of 20 Poly Cushion envelopes. Exterior Size 7x9 (7 x 9). Peel and Seal. Mailing, Shipping, Packing, Packaging. Kraft Bubble Mailers 8.5 x 11 Padded Envelopes 8 1/2 x 11 by Amiff. Exterior Size 8.5 x 12 (8 1/2 x 12). Pack of 20 Kraft Paper Cushion Envelopes. Peel & Seal. Mailing, Shipping, Packing, Packaging. White Poly bubble mailers 6.5 x 9 Padded envelopes 6 1/2 x 9 by Amiff. Pack of 20 Poly cushion envelopes. Exterior size 7.5 x 9 (7 1/2 x 9). Peel and Seal. Mailing, shipping, packing, packaging. Natural Kraft bubble mailers 12.5 x 18 Brown Padded envelopes 12 1/2 x 18 by Amiff. Pack of 10 Kraft Paper cushion envelopes. Exterior size 12.5 x 19 (12 1/2 x 19). Peel and Seal. Mailing, shipping. Poly mailers 10x13 Shipping bags 10 x 13 by Amiff. Purple mailing bags 2.5 mil thick. 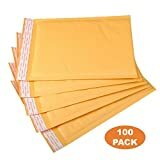 Pack of 100 poly envelopes. 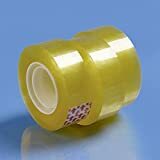 Peel and Seal, Waterproof, Lightweight. Wrapping, Packing, Packaging.